Jamaican Woman Beat The Odds and Now Runs All Home Depot US Stores. Read how she did it. Ann-Marie Campbell, 50, has been appointed as the top executive in charge of all Home Depot stores in the United States. Campbell, a native of Jamaica, was born in Kingston. Before being named to her new position, she was in charge of the company’s southern division, which comprises some 690 Home Depot stores in 15 states, Puerto Rico, and the US Virgin Islands. Campbell graduated with a degree in philosophy and an MBA degree from Georgia State University and began her career with the company as a cashier while still in college in 1985. Campbell’s inspiration and source of much of her business knowledge is her grandmother in Jamaica who developed a roadside business into a multi-million dollar company. She has been recognized for her achievements in the business world with numerous honors and in 2014 was named to Fortune’s list of the 40 Most Powerful Women in Business. In her new post at Home Depot, Campbell will oversee almost 400,000 employees in 2,000 stores. Source Jamaica Observer. Born in Kingston, Jamaica, she is the youngest of four children and the only girl. Her father died in a car accident at age 26, when Ann-Marie was one and a half. Her grandmother, herself a divorced mother of 10, helped her mother raise her. Her grandmother owned a furniture and appliance store, where Ann-Marie worked during the summer and school breaks. During the school year, she boarded at the Holy Childhood High School, a Catholic boarding school for girls. On April 1, 1985, Campbell took a part-time job as a cashier at a Home Depot branch in North Miami Beach, Florida, to help pay her way through college. One day in 1989, vice president Lynn Martin came to the branch for a “store walk” with the employees, and when he asked a question, Campbell volunteered the answer. Impressed by her assertiveness, Martin became her mentor, encouraging her to pursue promotions in other store operations such as merchandising, sales and marketing. Campbell’s advancement in the company included positions as department manager, store manager, district manager, regional vice president, vice president of operations, vice president of merchandising and special orders, vice president of retail marketing and sales, and vice president of vendor services before being named president of the southern division in 2009. In the latter position, she was in charge of 690 stores and 100,000 employees in 15 states, Puerto Rico, and St. Thomas. In January 2016 she was promoted to executive vice president of U.S. stores, with responsibility for 2,000 stores and most of the company’s nearly 400,000 employees. After Hurricane Andrew devastated southern Florida in 1992, destroying a Home Depot branch in south Miami, Campbell managed the store in the parking lot “with bricks, building materials and mobile cash registers”. In 2014 she established the Ann-Marie Campbell Scholarship for undergraduates at the J. Mack Robinson College of Business at GSU. In August 2014 she joined the Board of Directors of Potbelly Corporation, and in June 2015 she was appointed an Independent Director at Barnes & Noble. She serves on the advisory boards of the nonprofit Catalyst and J. Mack Robinson College of Business at GSU. She will be a board member of the Metropolitan Atlanta chapter of the American Red Cross in the 2016 calendar year. 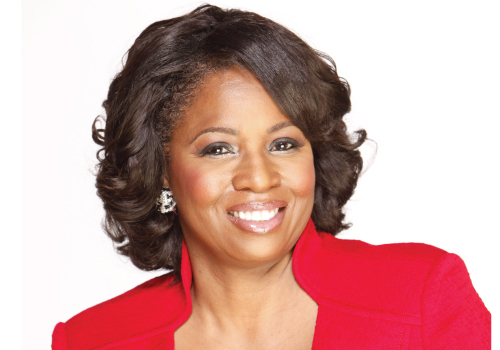 In 2010 Campbell was named one of the 75 Most Powerful Women in Business by Black Enterprise. In 2012 she was named one of Atlanta’s 100 Top Black Women of Influence by the Atlanta Business League. In 2014 she was ranked #38 on Fortune‘s list of 50 Most Powerful Women in Business.